The Kickstarter campaign is now over. Thanks to your support and contribution, it was a success. Now is time to explain how every of your rewards will be delivered. For each of you, we will create a personal and secure account on joomeo.com. You will receive your login information by email by Wednesday July 22nd, with a detailed tutorial on how to use the platform to upload documents. We will send an information request form to each of you during the week of July 20th to collect specific requirements for your Nanoform. This will allow us to prepare for manufacturing and to customize your sapphire disks. You will upload all documents on your personal joomeo.com account (a single image for the Medallions, a set of files for the Personal Nanoforms). We will perform the layout of your Nanoform and will send you a “ready for print” mail with an image of the Nanoform ready for manufacturing with your documents in their final position. You must inspect the Nanoform layout before we launch the engraving process. You will confirm by mail that you approve the Nanoform layout. The Nanoform manufacturing will take place in our clean room. We will send you a mail as soon as your Nanoform is ready for shipping asking for shipping address confirmation. As soon as the address is verified, we will proceed with shipment. Unless you request a delay, Medallions will be ready to ship in October and the Personal Nanoforms will be ready to ship in November. Your picture on "La Nanoform"
1. Creation of secure accounts on joomeo.com. 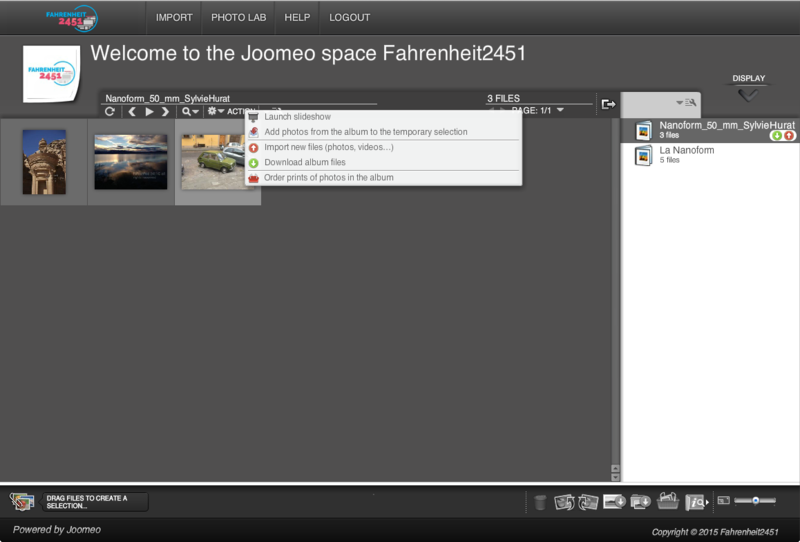 You will upload your picture or document on your personal Joomeo account. This document will be publicly displayed. We will verify that your document is conform with our policy chart, and will warn you if it's not the case. 4. Upload of your file in the public folder of "La Nanoform"
We will upload your file in the public folder of "La Nanoform", where you will see the other pictures and documents destined to stay alongside yours forever ! 5. Upload of the final layout of "La Nanoform"
We will upload the final layout of "La Nanoform", so that everyone can see how it will be manufactured. 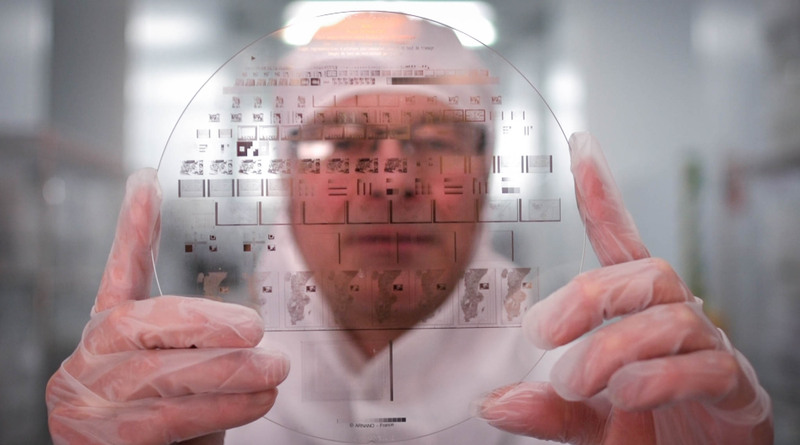 The Nanoform manufacturing will take place in our clean room, in Grenoble. You will be notified as soon as it ended! We will send you a picture of the final "La Nanoform", and then put it in a Museum where it will last for milleniums!